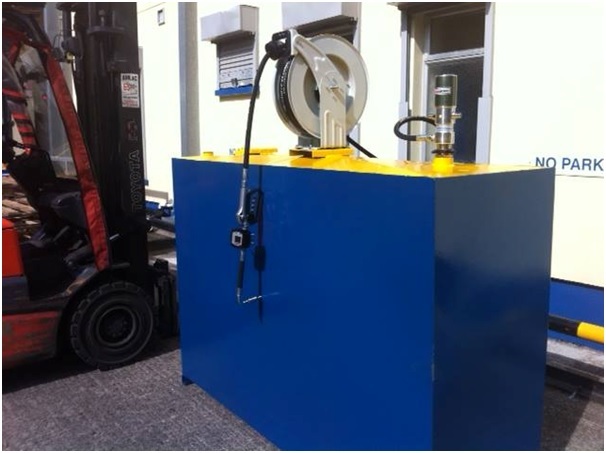 Oil Tanks with Pumping Equipment made to order. From 400 lts up to 10,000 lt single skin or Bunded in a colour of your choice. Tanks can be split into 2 or more compartments where more than 1 grade of oil is required. With or without hose reel.